ADJUSTABench® from Kewaunee Scientific, Inc. Tall column model for shelves, lights, etc. Full range of accessories: shelves, power/data lighting, drawers/cabinets, etc. 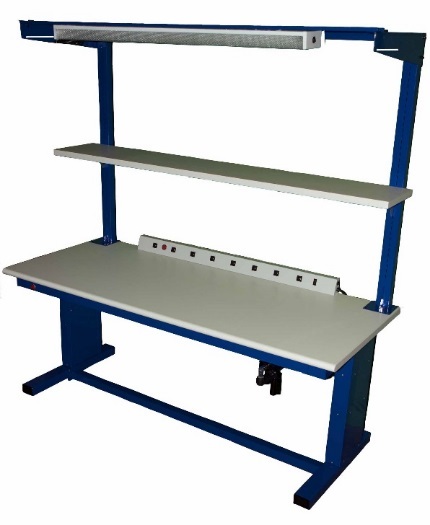 This page displays ‘automated’ height adjustable benches, meaning they include lift mechanisms that allow the worksurface to adjust independently of, or along with it’s attached accessories. The mechanisms are typically hydraulic cylinders, though screw drives are sometimes used. Drives can be manual ‘crank’ mechanisms or electrical motors. 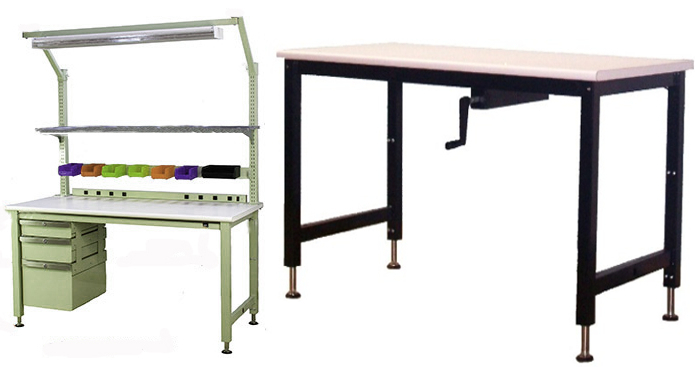 It’s worth noting that ‘mechanical’ height adjustability is offered on most of our other lab benches, lab workstations and tech benches. 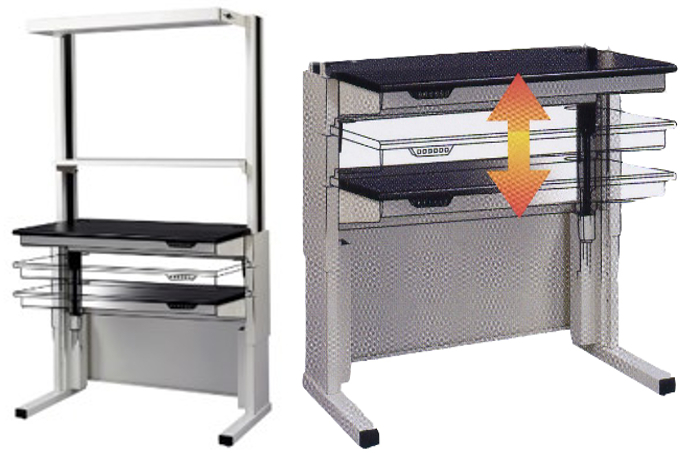 This means that by adjusting leg inserts or worksurface brackets – via nut/bolt – worksurface heights can be changed, as well as connected components, including shelves, power channels, task lights, etc. 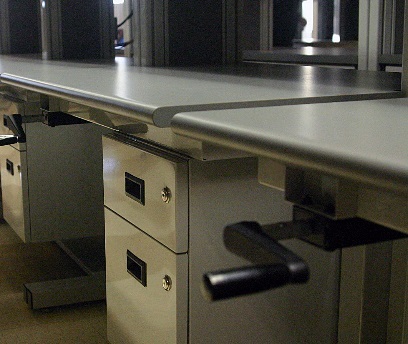 Details on these features can be found in our Lab/Tech Bench Work Design Guide.